For those of you who made it down to the eighth installment of Human Drizzle Presents to see Anna Wall and Real Nice spin some tunes will know that Stoke Newington’s Bar A Bar is a VIBE. 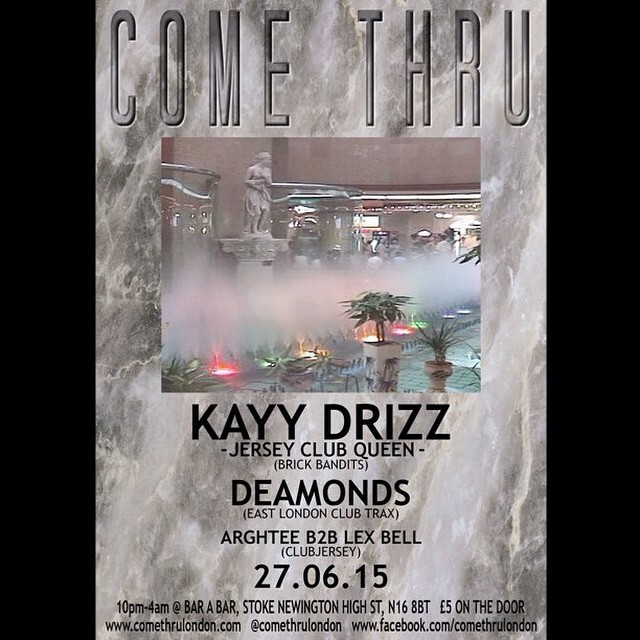 This Saturday, online magazine and club night Come Thru London are having their launch party at the intimate venue with the first ever UK show from Jersey Club Queen Kayy Drizz. There’s no doubt she’s going to bring the heat this Saturday – we recommend scouting this one out. Check out Kayy Drizz’s SoundCloud for further persuasion. Tickets can be bought here from RA.